Reznor designed and integrated a new, heated concourse for Derby FC, which is thought to be the first one in the UK. It has received a very warm welcome from fans, with the club receiving some very positive feedback verbally and through social media. It has been a valuable initiative adding to the enjoyment of a match day experience. Pride Park is home to 30,000 fans on match days and the importance of providing a warm and comfortable environment for spectators was paramount to Club Owner, Mel Morris, especially with more and more families attending games and the winter months being so cold. Derby County Spokesman Paul Tyrrell said “We are continuously looking for ways to improve the level of service and quality of the match day experience for our supporters. Many enhancements have been made to Pride Park recently and our decision to introduce a new heating system in our concourses was a vital element of this upgrade programme. Reznor worked alongside Pegasus to provide the best possible heating solution for Derby FC’s unique requirements. The concourse is open to the pitch, therefore the outside air would constantly infiltrate into the area. 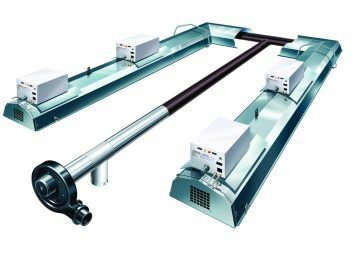 The Reznor Nor-Ray-Vac radiant heating system was ideal in this instance, as the system transfers energy by means of electromagnetic waves which pass through the air without heating it, instead heating the surfaces beneath the heater. This method results in an increase in energy efficiency, as energy is not wasted heating the cooled air. Another major benefit to radiant heat is to be able to create an environment without stuffiness. If you have a similar situation and would like advice, or to discuss our products and services, our friendly and knowledgeable colleagues are on hand to help.